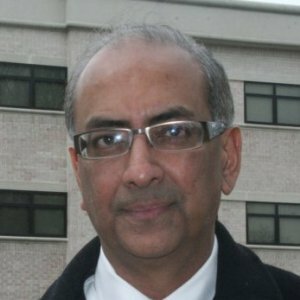 Professor Rai joined Hofstra University in 1988 and was promoted to associate professor in 1994 and to full professor in 2001. He was also appointed the Director of the Center for International Financial Services and Markets in 2008. Professor Rai received his B.A. (Honours) and M.A. in Economics from Delhi University, India, and his M.B.A. from the University of Notre Dame. He earned his Ph.D. in International Business with minors in Finance and Economics from the Kelly School at Indiana University, Bloomington, IN. Before joining the faculty at Hofstra, Dr. Rai taught as an assistant professor at the University of Vermont. 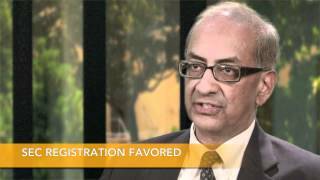 Professor Rai's current research interest centers around international banking and financial markets. His articles have been published in the Journal of Banking and Finance, Journal of International Money and Finance, Journal of Economics and Business, Journal of Futures Markets, Journal of Financial Research Services, Journal of International Financial Markets, Institutions and Money, Financial Management and the Journal of Risk and Insurance. He has presented papers at several national and international finance conferences. He is the co-author of the textbook “Introduction to International Business” published by M.E. Sharpe, NY, in 2009. He also serves as the Associate Editor of the Journal of Multinational Financial Management. 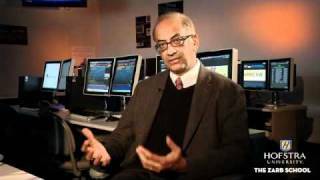 Professor Rai has taught at several other institutions as a visiting or adjunct professor, including at the Rotterdam School of Management, The Netherlands, Indian Institute of Management Calcutta, the University of Catania in Sicily, Italy, New York University and Rutgers University, Singapore. He has also conducted seminars on risk management to bankers from China, Russia and the Netherlands Antilles. Dr. Rai interiewed on Long Island Ice Tea $11.5 million stock raise. Among the key findings, hedge fund managers reported that Dodd-Frank rules driving increased transparency while increasing investor demand for information have been broadly positive for the industry. Due diligence process, risk management procedures and reporting requirements all have increased investor acceptance of hedge funds, allowing them to become increasingly mainstream investment vehicles for institutional and individual investors. Large firms, in particular, seemed to welcome the additional scrutiny, with large majorities favoring SEC registration, the European Passport and a majority backing supervision from the Treasury and the Federal Reserve Bank. This paper examines the impact of official discount rate (ODR) changes on market interest rates of four countries (Germany, France, Japan and the UK) during the period from 1980 through 1997. The overall results indicate that short-term rates are more responsive than long-term rates for all countries. The magnitude of the changes is country specific. Market rate responses are lower for Germany and Japan, which have fewer changes in ODR. These results are consistent with expectations that there is less uncertainty under such regimes. Consistent with the pace of regulatory reforms, the results of ODR changes are strongest in UK and weakest in Japan. When monetary policy is changed or reversed, interest rate responses are shown to be larger for countries with frequent changes in discount rates.